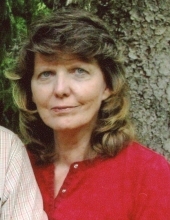 Sheila Kaye O’Neal Lambert, 69, of Wymer, West Virginia received her healing from cancer and went to be with Jesus on Tuesday morning, March 26th, 2019 at her home where she was surrounded by loved ones. Sheila was born Friday, October 28, 1949 at Broaddus Hospital in Philippi, WV to the late Harry James and Leota Radell Poling O’Neal. She graduated from Philip-Barbour High School in 1967, attended Fairmont State College, and graduated from Alderson-Broaddus College with a degree in education. She was fascinated by life sciences and taught 7th grade science for 30 years at Philippi Middle School until she retired in 2004. While teaching, Sheila met Bruce Everett Lambert, Jr., who taught industrial maintenance at Philip Barbour High School. The two were married on the evening of July 25th, 1987 in Nestorville, WV. They enjoyed 31 years of marriage that were filled with cattle farming, camping, teaching, flower gardening, and raising two children. Loved ones that will miss Sheila until they meet again include her husband, Bruce E. Lambert Jr. of Wymer; two children: Bruce Everett Trenton of Wymer and Whitney Rochelle Mullennex and husband Asa John Mullennex of Whitmer, WV; two sisters and their husbands: her twin Sharon Faye Bolyard and husband Jerry Bolyard of Whitmer, WV, and Carolyn Spessert and husband Warren of Valley Furnace, WV; her sister-in-law: Patricia Ann Lambert of Elkins, WV; and many aunts, uncles, cousins, nieces, and nephews. Sheila was a member of Otterbein United Methodist Church and had a strong faith in God that was evident to all she met. Reading her Bible daily was the source of her strength and the foundation of the legacy she left to everyone she met. She was always quick to listen and lend a helping hand or an ear to listen. Some other activities Sheila loved were singing Gospel songs with her sisters, identifying birds in her backyard feeder, planting flowers, road-tripping around the US, discussing life from a Biblical perspective, and spending quality time with her family. Friends and family are invited to attend Sheila’s viewing on Friday, March 29th, 2019 from 5-7 pm at Lohr and Barb Funeral Home in Elkins, WV. Her funeral will be held the next day, Saturday, March 30th, 2019 at 11 am at the same location. The Rev. Leon Hevener will officiate and interment will follow at the Mountain State Memorial Gardens at Gilman, WV. The family suggests that expressions of sympathy be in the form of contributions to Tyrand Cooperative Ministries, P. O. Box 365, Mill Creek, WV 26280. “For we know that if our earthly house, this tent, is destroyed, we have a building from God, a house not made with hands, eternal in the heavens. 2 For in this we groan, earnestly desiring to be clothed with our habitation which is from heaven, 3 if indeed, having been clothed, we shall not be found naked. 4 For we who are in this tent groan, being burdened, not because we want to be unclothed, but further clothed, that mortality may be swallowed up by life. 5 Now He who has prepared us for this very thing is God, who also has given us the Spirit as a guarantee. To send flowers or a remembrance gift to the family of Sheila Kaye Lambert, please visit our Tribute Store. "Email Address" would like to share the life celebration of Sheila Kaye Lambert. Click on the "link" to go to share a favorite memory or leave a condolence message for the family.